He’s a DJ and music producer with over 31 years of experience and for the last 10 years, he has been involved in an endless world tour that has included stops in Egypt, France, Czech Republic, Poland, Brazil, Bulgaria, Austria, Argentina, Greece, Turkey, Perú, Hungary, Chile, Colombia and other countries. Owner of his own record labels: Santos Recordings, MCS Records & VOL0101 Records, as well as taking part in more than 45 different labels in which the vinyl format is distinguished beside Vi Två Records – Berlin, Germany and an edited CD set with 20,000 CD’s in the market which was published in the magazine “Freeze MGZ” (Greek Edition). 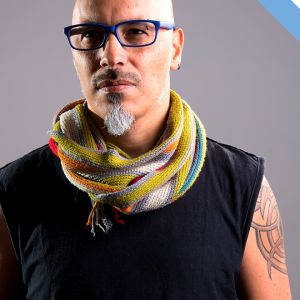 He also has his own weekly radioshow called “Mariano Santos Global Radio Show” where he could be heard in over 86 radio stations and music sites worldwide. He was also the creator of the mythical and no longer in service online radio station: ADNalternative.